Lieutenant Colonel C. William Fox, Jr., a physician who has had extensive experience in U.S. activities in Africa over the past two decades, has personally supervised operations that have considerable potential as models for future regional involvement. 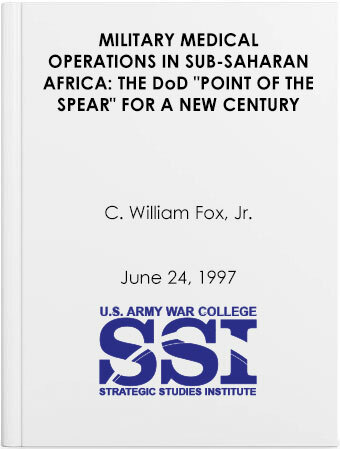 In this publication, he offers a rationale and vision for future DoD activities in Africa. His account also serves to remind us that substantial strategic benefits can accrue to the United States even from small, tailored teams deployed under creative, energetic leaders.